Boxing Out Negativity is boxing/mentoring program that serves youth ages 8 to 17 on Chicago’s West side. Enrollment is free, but students “pay” for participation with completed homework. Lessons last around one to one and a half hours. After the boxing lesson, students join a circle for motivational discussions and a space where they can vent frustrations and brainstorm productive solutions to everyday problems. Some days, students engage in a variety of community engagement or recreational activities that foster physical, mental, or character development. As of the 2018-2019 school year, classes are held at Franklin Park; when that space is unavailable, the program moves to Coach Brown’s garage, St. Agatha’s Church, or other shared spaces in the community. Boxing Out Negativity barely has the resources to serve around 17 to 20 students, yet often has a waiting list of as many as 70 students. Until recently, most funding came from the personal salary of coach Derek Brown, who spends around twenty percent of his income on the program. The youth are immensely grateful to the Global Material Technologies Foundation, Sanabul Sports, and other generous donors and community partners who have enabled the program’s current level of services. 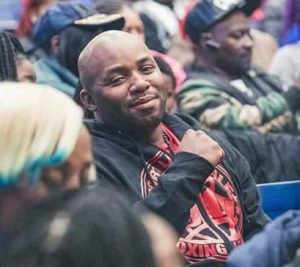 The goal of Boxing Out Negativity is to open a boxing/recreation gym to provide a safe haven for more of Chicago’s youth to build positivity in all aspects of life.